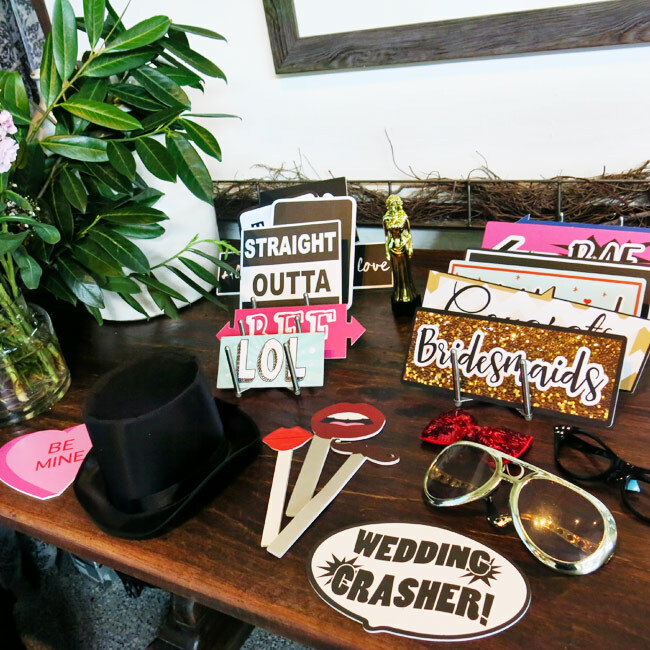 A sure way to add extra creativity and fun in your photos and for your guests. Contains our exclusive fun word props! It's fun to share your photos online it's always nice to have a print out too! Printing is enabled with the photo still mode. Choose either two 2”x6” strips layout or one 4”x6” postcard sized layout. 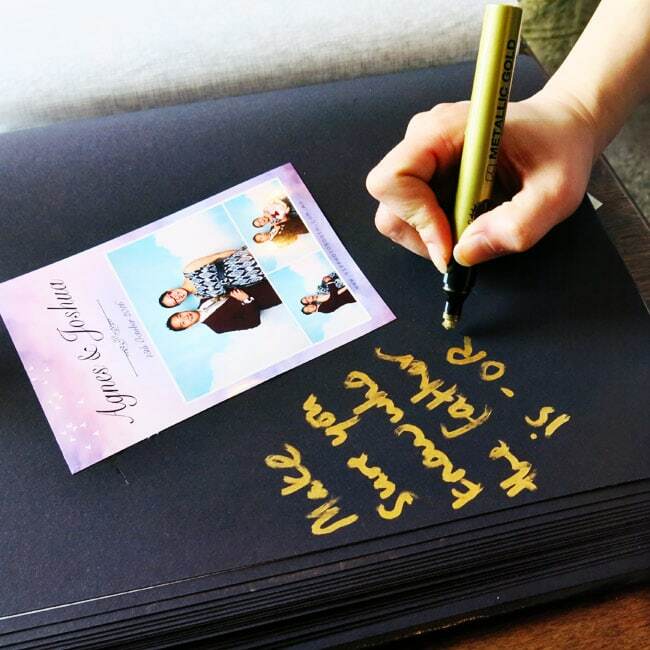 Elegant guest book with glue, silver or gold pens. 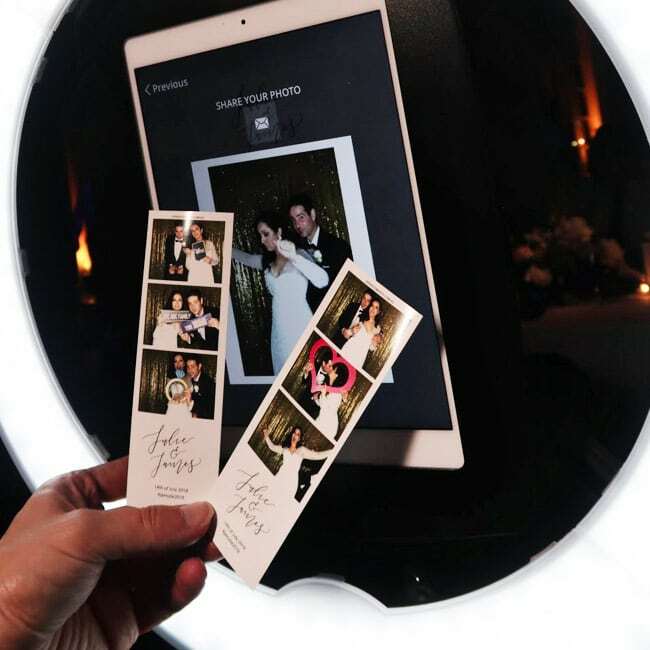 Read all the warm wishes your guest's have written and see all the fun as you browse through their photos. 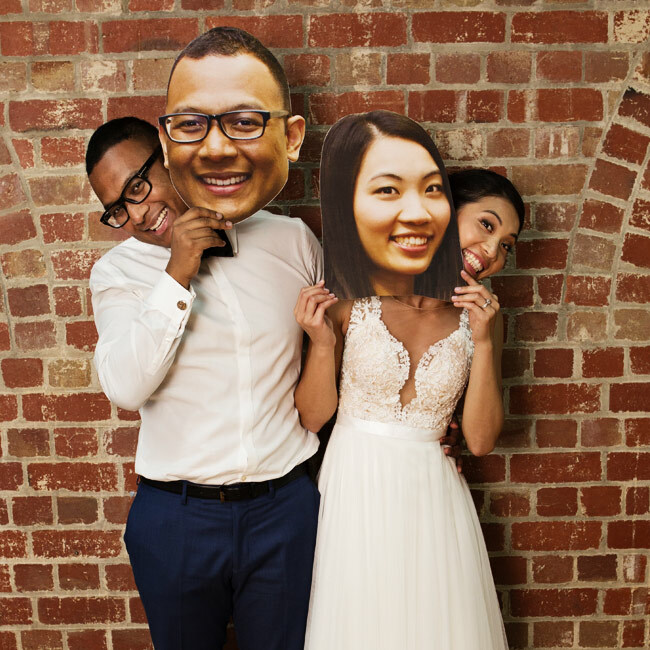 Custom prop heads for hilarious results both in and out of the photo booth. 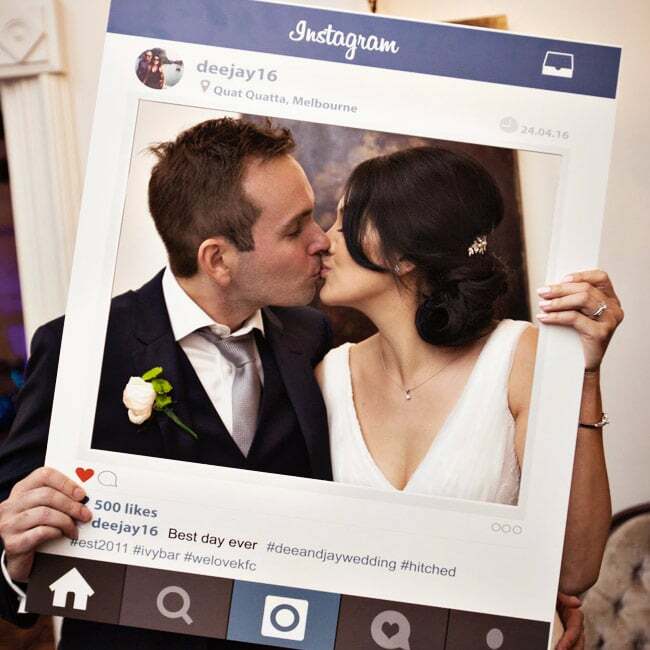 A great way the couple can ‘make it into the photo booth shots’ without being there the whole event. 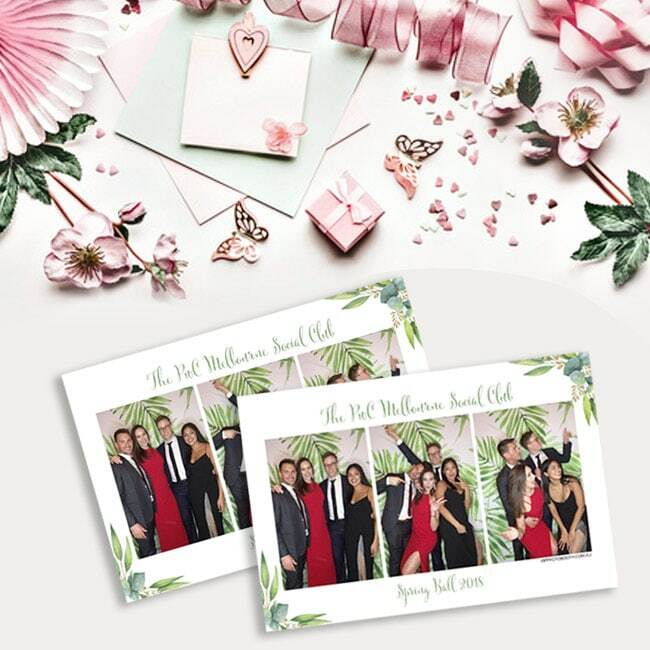 Recommended with the VIP Guest Book with designer postcard prints. 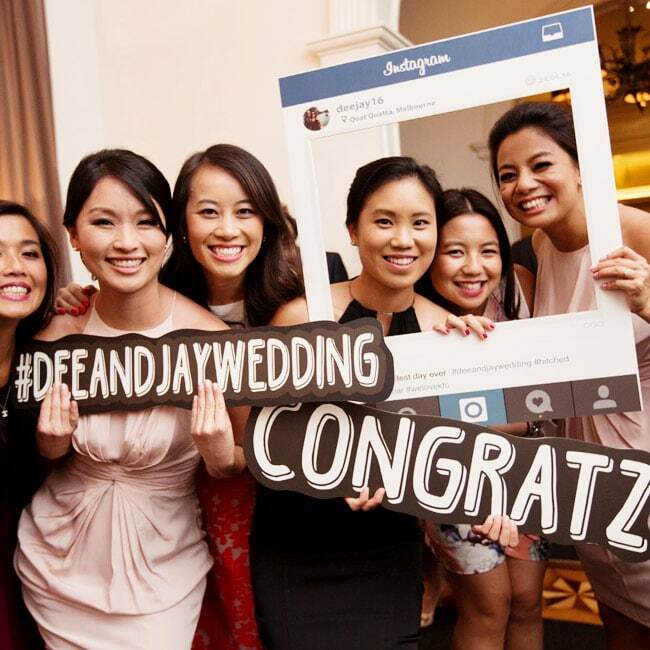 #hashtag sign and a set of custom props matched to your designs and with your text. Choose from a range of prop options, please enquire for more information. 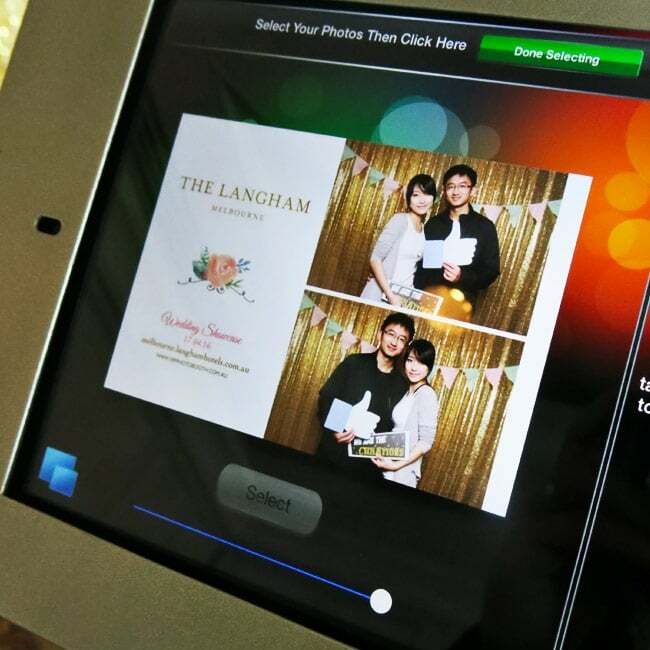 Independant sharing station keeps the line flowing as guests share and send their GIF photos. 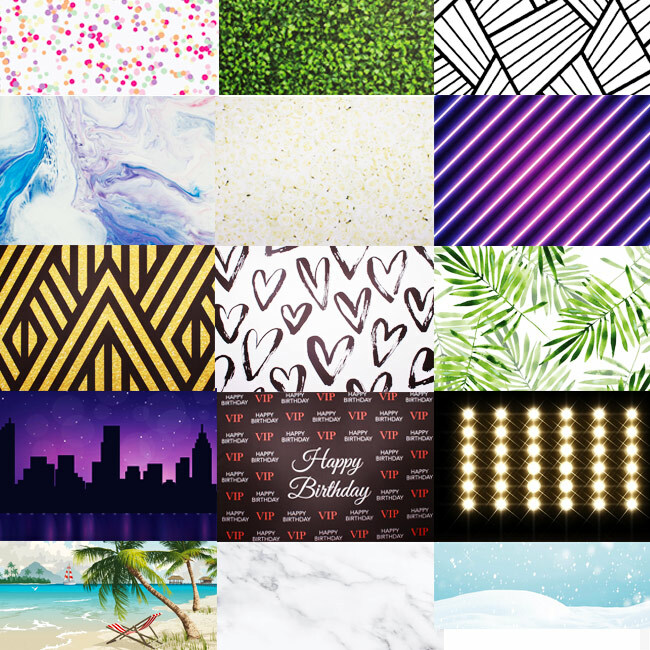 If you want a backdrop outside of our collection we can create a background for you. 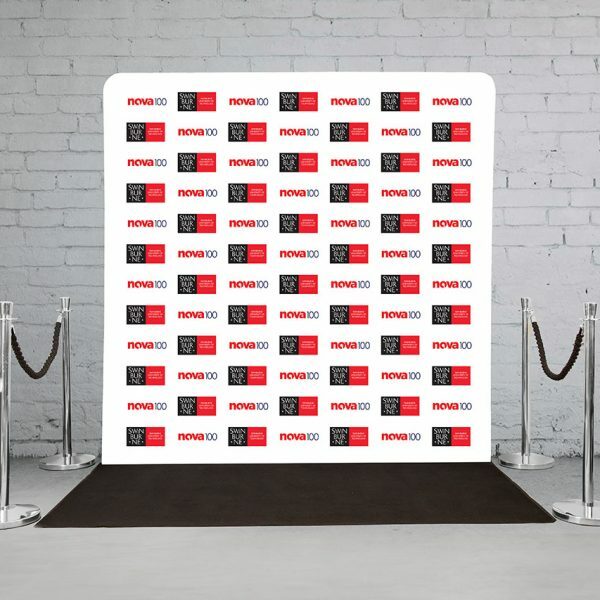 Customize your event with a custom printed backdrop to stand out from the rest! 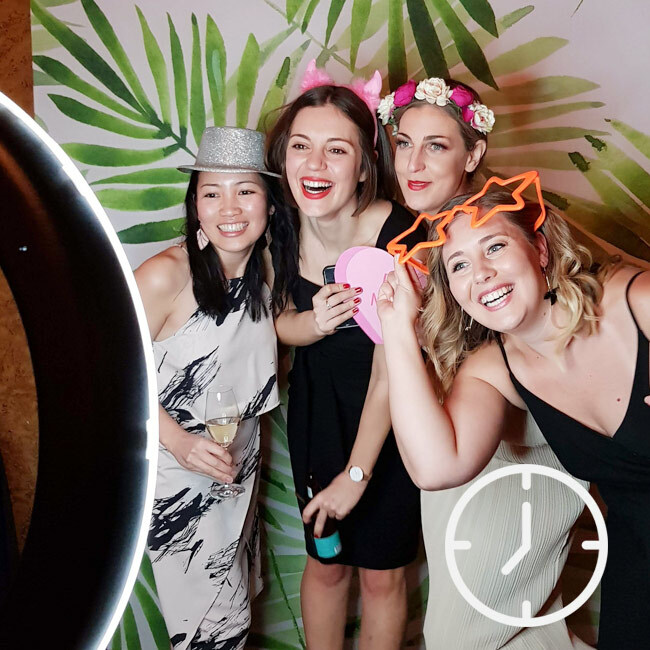 Add more GIF booth operation hours to your event. More hours, more smiles, laughter and good times. 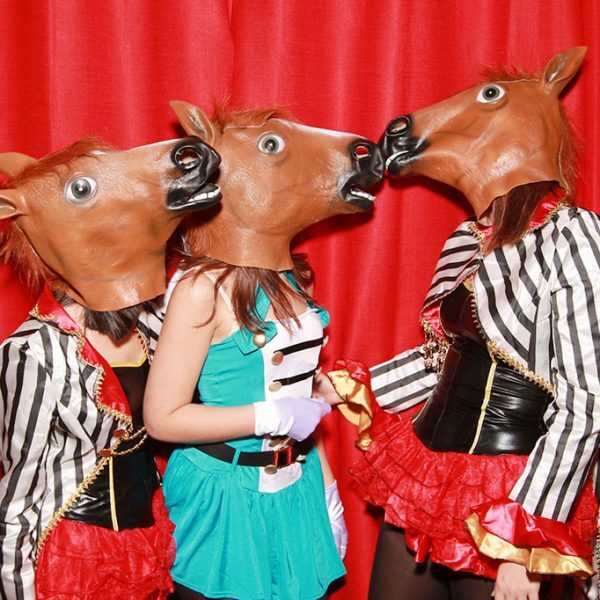 A non-refundable deposit of $300 secures your date. 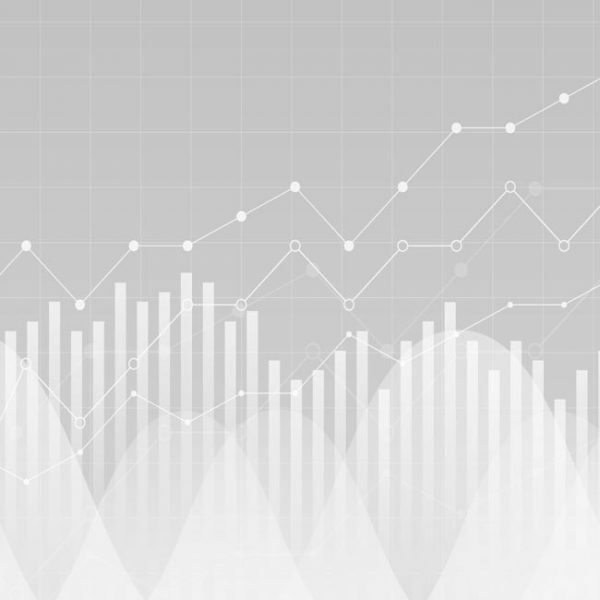 Remaining balance due 14 days prior to event.